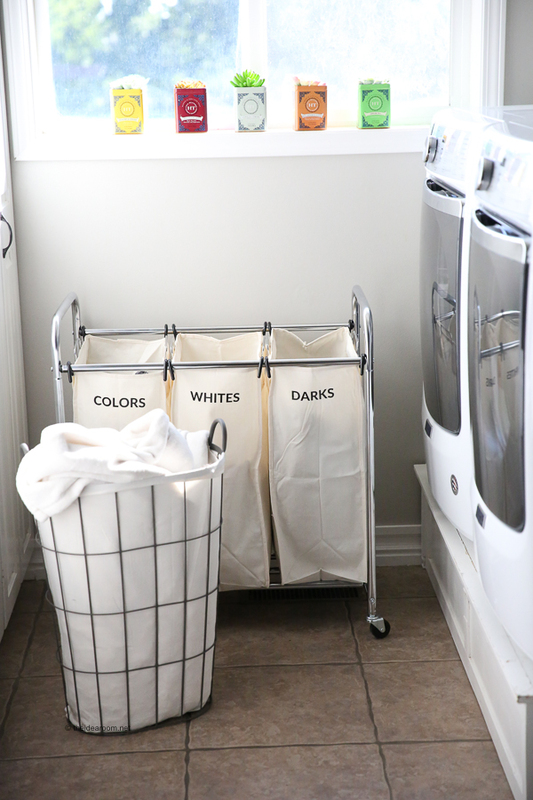 Sharing our best Laundry Tips and Tricks and our Laundry Routine. If you have wondered how to do laundry with a large family, check out our Laundry Organization Tips! *This blog post is sponsored by Maytag, but all opinions and thoughts are my own. Laundry…you either enjoy it or dread it. I used to dread doing the laundry. With five busy kids in various sports, our family of seven can create some serious amounts of laundry. So, I needed to find a more efficient way to do the family’s laundry. 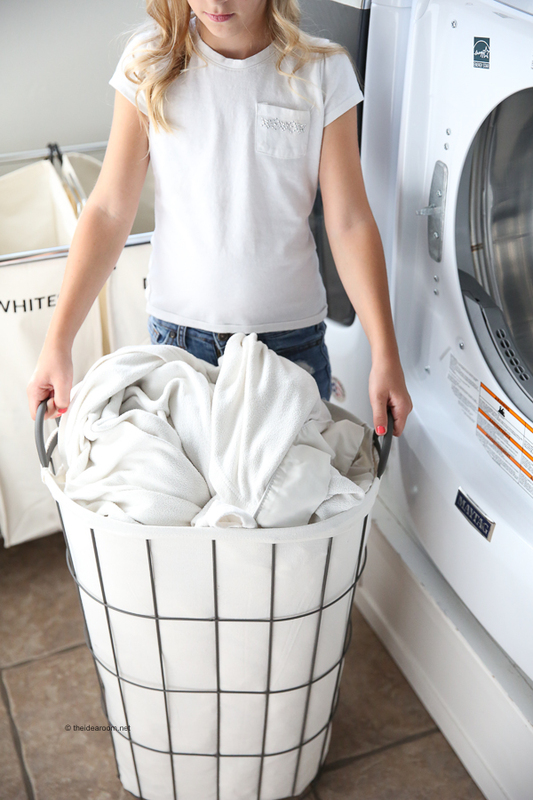 Today I want to share with you how to do laundry in a more organized and efficient way, so that it’s easier to manage for your large family with our laundry tips! I am so excited to be working with Maytag, a brand that I truly love and have previously owned. We go through a LOT of laundry every week and it’s important to us to have a washer and dryer that are dependable and built to last! We also need machines that are powerful enough to handle our large loads of laundry and can keep up with the amount of laundry we produce! I have found over several years of tackling laundry for a large family that there are some steps you can take to make doing the laundry easier and more efficient. The key for me is preparation and organization! If you can plan ahead and get organized with a schedule, you can stay on top of the laundry. Now this doesn’t mean that every single week we are totally on top of it, because sometimes you just have an insane week where everything falls apart…. But if you can have an organized approach to your laundry system, you should be able to make laundry a chore that doesn’t make you feel crazy! ORGANIZATION​: I have put a laundry hamper in each of the kid’s bedroom and the master bedroom. Having a set spot to place your dirty laundry is the first step in the process. Now, getting your family to PUT the dirty laundry in the hamper is another story! I also have a ​laundry sorter ​in the laundry room so that when the kids bring down their laundry to be washed, they have a place to immediately sort their own clothing from their personal laundry hamper into the laundry sorter. SCHEDULE A ROUTINE​: Each child has a specific day chosen to be their laundry day. We have them each paired up on a day so that we do two children’s loads on the same day. This gives us enough laundry to do full loads. If we need a little extra laundry to fill a load, I will grab a few other items from around the house to be washed. We also have a set day that we wash the bed linens and towels etc. The kids are reminded to bring their laundry down to the laundry room the night before their washing day. This way I can throw a load in the washer first thing in the morning. Since everything is already sorted it literally takes me minutes to get a load going. GET IT DONE​: Set alarms so that you can take a break from what you are doing and switch the laundry from the washer to the dryer. Nothing is more frustrating than having to wash a load twice because you left it in the washer for too long and it became mildewy smelling! (Speaking from experience here haha!). 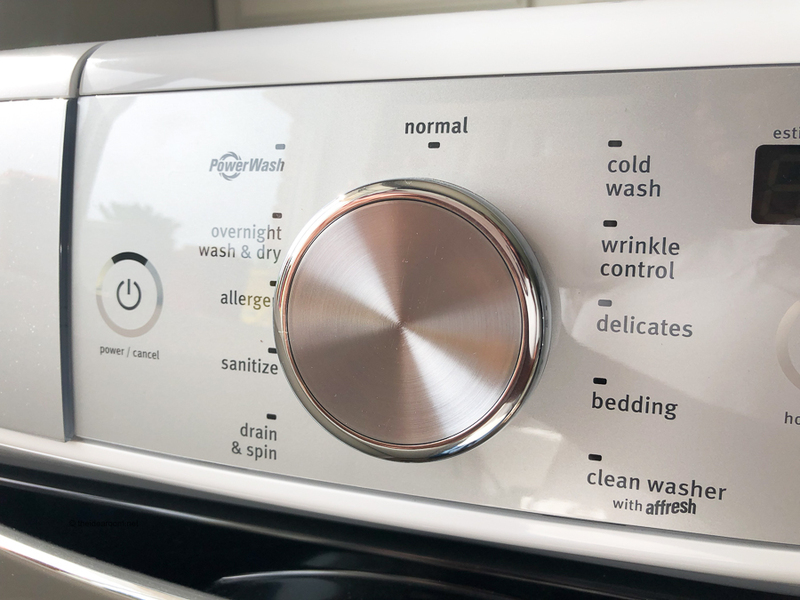 With that in mind, we’ve found the Fresh Hold® Option on our new Maytag washer to really come in handy. The Fresh Hold® Option continues to tumble your load of finished laundry for up to 12 hours. 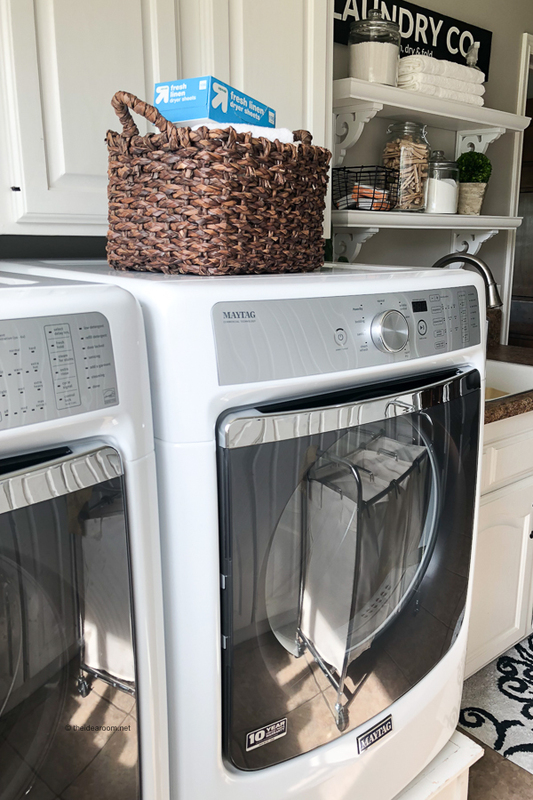 The built-in fan provides fresh air to be blown into the washer while the clothes are tumbled for 12 seconds…every 15 minutes until the washer is stopped and the clothes are removed. Next, we fold the laundry immediately out of the dryer for best wrinkle free results or put in a pile for the kids to fold when they get home (my usual routine when it is the kids’ laundry). Or you can fold while watching your favorite tv show at night! PUT AWAY IMMEDIATELY​: After folding, put the laundry away immediately. It takes less time than you think! Sometimes I will fold all the laundry for the kids if I have time and will place the folded laundry in their laundry basket and then have them put it away when they get home. IRONING​: One of my least favorite jobs is actually ironing. If you fold your laundry right away after the load has finished drying, you will save on a ton of ironing. If there are shirts to be ironed, then I will hang them in the closet in our laundry room and then iron them all at once. I will also pay my kids to iron shirts, as an extra chore, so they can earn a little money because we don’t pay them for their regular chores. 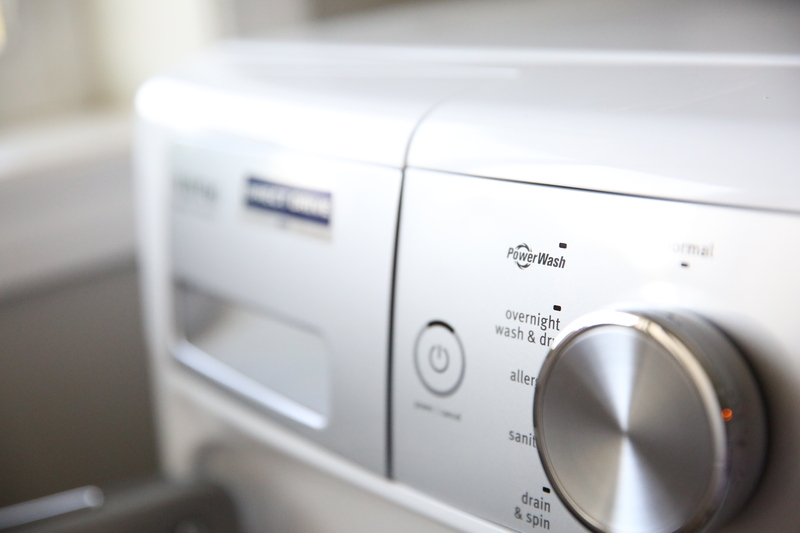 Speaking of saving time on ironing, we are loving the ​Steam Refresh Cycle​ in our new Maytag dryer. It revives clothes without having to wash them, reducing wrinkles and removing odors – it’s such a game changer! Sort your laundry into the following for best results and similar washing temperatures. With over 20 years of experience washing my family’s clothes, the following water temperatures are what give me the best results for various garments! Hot Water (130+ degrees F.)​: Hot water is almost always reserved for whites, really soiled and dirty clothes and diapers. Hot water is best for removing germs and heavy soil. However, hot water can shrink, fade and damage some fabrics, so be sure to read your clothing labels before selecting the hot option. 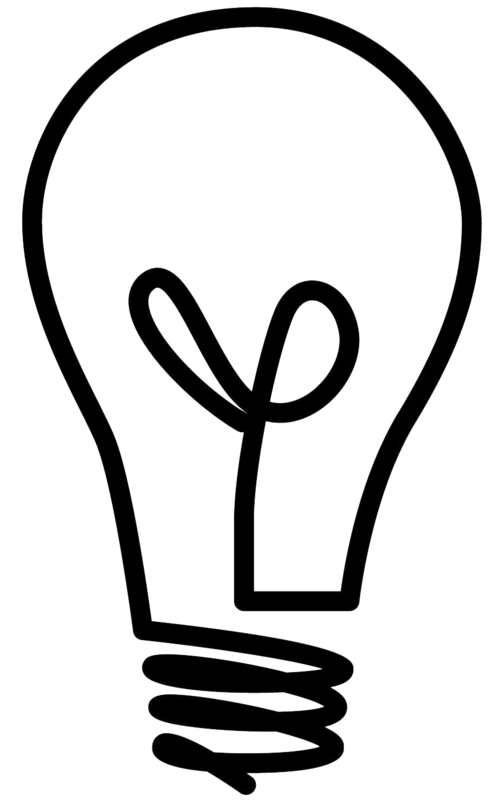 Warm Water (90 degrees F.)​: Warm water is best for use man-made fibers, knits and jeans. Most of your clothes can be washed in warm water. It offers good cleaning without significant fading or shrinking. Cold Water​ (less than 80 degrees F): For dark, bright colors that bleed or delicate fabrics, use cold water. Cold water also saves energy, so it is a good choice if you want to be eco-friendly. If you choose cold water, you may need to pre-treat or pre-soak your clothes if your laundry items are heavily soiled. 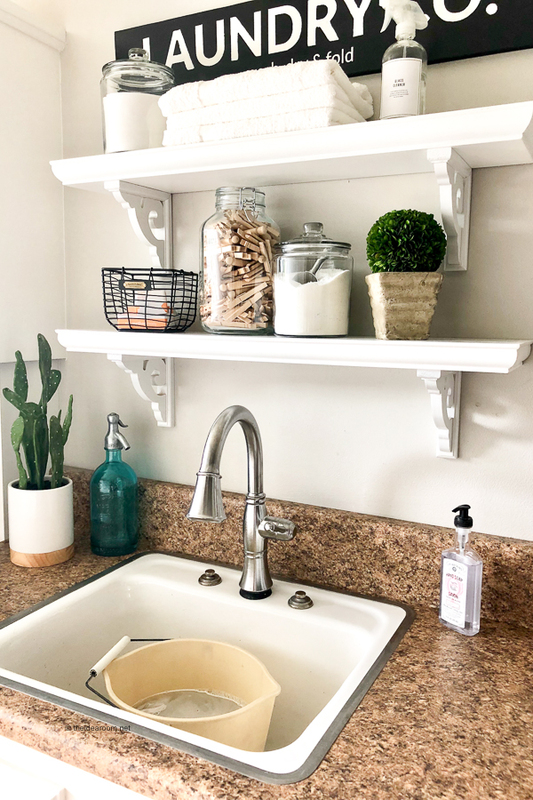 From my own personal experience, I’ve pulled together a few tips on how I’ve had success in treating stains (but of course, don’t forget to check your appliance and product use and care instructions before treating your stain, as every situation is different!). Be sure to pre-treat any laundry stains as they happen. We use a laundry spray to pre-treat stains on clothing if they are a small spot or area. Then we place the item in the laundry hamper until the item is to be washed. If it is a larger stain or one that needs immediate attention, we will soak the item in a bucket filled with water and some of our favorite stain remover/detergent. The following stains should all be pre-treated for best results in keeping your clothes clean and stain free. Stay tuned for a post we will be sharing with tips for treating tough laundry stains! I’ve found that using the correct washing machine cycles can also greatly improve how clean your laundry gets and can help your clothes stay brighter, fresher and newer looking longer. I am loving our new Maytag washer and dryer set. Our favorite feature of our new washer is the ​PowerWash® cycle​. The PowerWash® cycle features a combination of extra cleaning action and heated water to attack everyday tough stains. On the flip side, the dryer has the PowerDry cycle which gets our large loads completely dried, faster. With optimized heat and airflow, this cycle runs hotter and works harder to power out moisture in our family’s clothes. Need help finding your perfect laundry set? You can find the best washing machine for you here, as well as the best dryer. 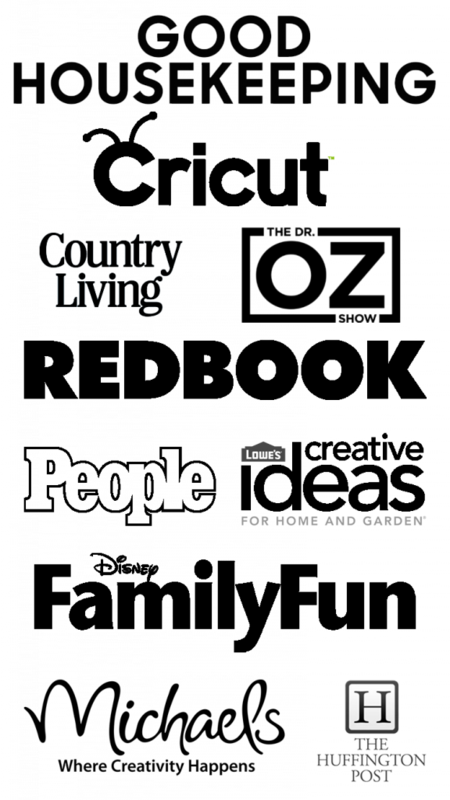 Also check out this page to find out whether a top load washer or a front load will work best for you. What are your biggest laundry routine challenges? What do you do that can help someone become more efficient with their laundry routine? 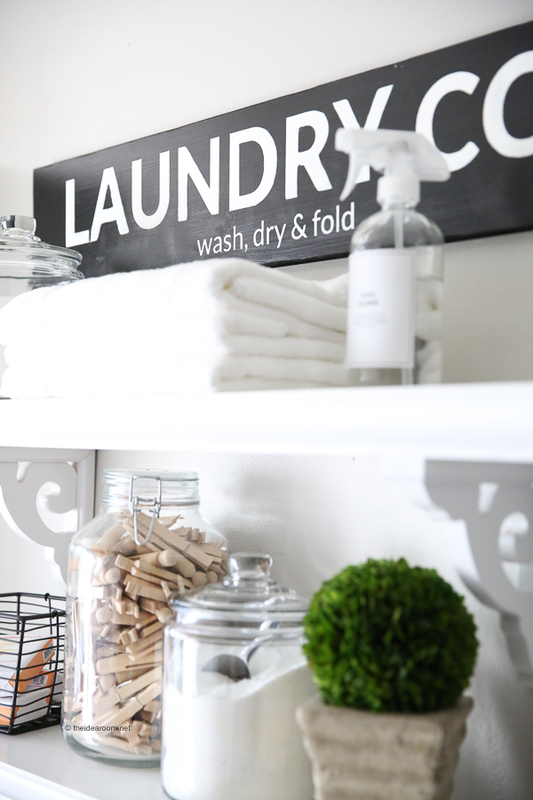 Interested in making your own laundry sorter or laundry room sign? Stay tuned because we will be sharing a pattern and tutorial for both here soon! So many helpful tips! I am going to be implementing many of these soon. My kids are old enough that they can be helping out with the laundry. Thanks Amberly! Yes…get the kids involved! Hope there are some things you can implement! These are some great tips! Laundry with a big family can be so overwhelming! Anything to help things stay organized is a win! Thank you for the tips! Laundry is one of my least favorite things to do. 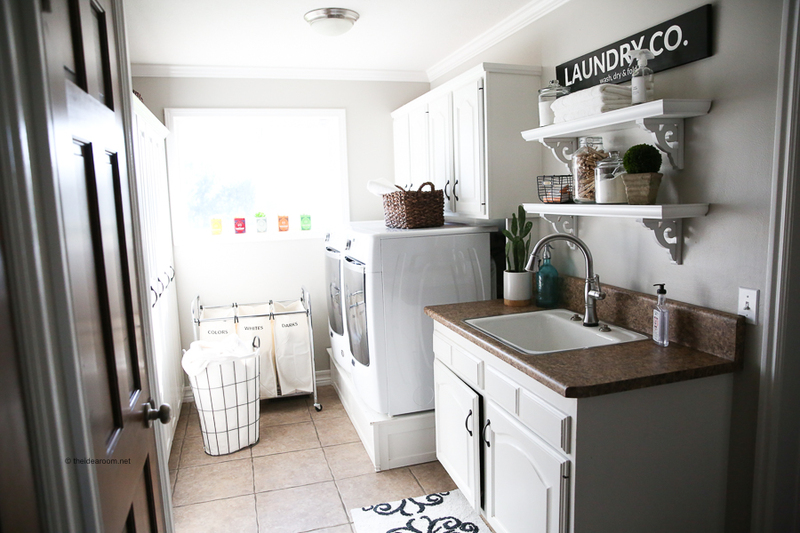 I would love to see your entire laundry room. You are welcome! It is one of mine too! 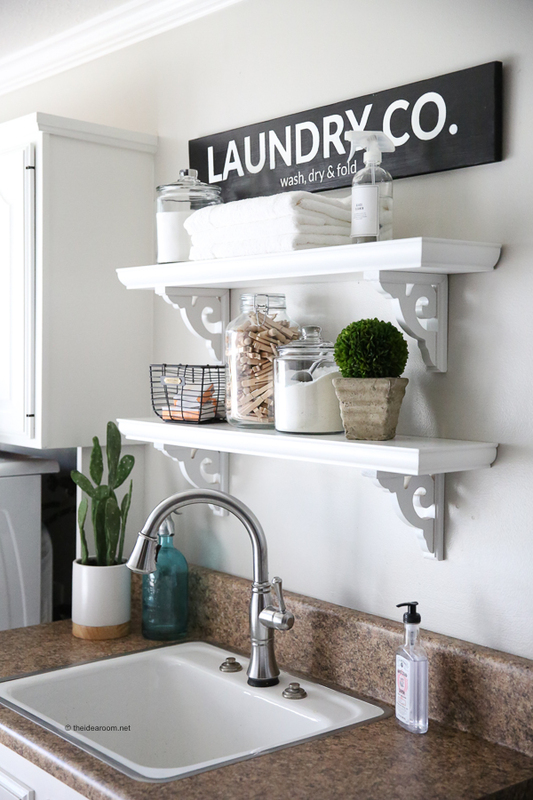 I will share some more pics in an upcoming post…I have a couple of tutorials for the laundry sign and the laundry sorter! :) Thanks for stopping by! from working at an emergency animal hospital, saline solution gets out blood! Of course just use the big bottle and I rinse right after, always check fabrics but have not had an issue even on colors. I do have to use quite a bit depending on how large and saturated the stain is. What a great tip! Thanks so much for sharing! 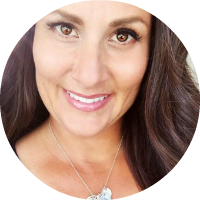 I love hearing what works for others! I do nearly the exact same thing you do! Now that my children are older (youngest is 10), they are completely responsible for their own laundry day. If they don’t do their laundry on their day (without good reason, they have to wait until the open day, which is Saturday. I do mine and my husband’s, the towels, and miscellaneous items. Everyone is responsible for their own sheets as well. Awesome! It helps so much to have an expected routine with a large family! I love that! I no longer have children at home but when my teenagers reached the age of 14 I had them do their own laundry. My oh my, did that change their attitude about maybe wearing jeans and tops one more time instead of just automatically throwing them in the laundry after one wearing. Not to mention as young adults, laundry was no big deal. Deb- I love this! It is important for kids to learn how to do laundry. Thanks for sharing your experience. Love your helpful laundry tips! We taught our boys to help and do laundry! It’s such a necessary life skill when they leave home! Heather- Thank you. It really is and it help out so much!